One of the most critical components of processing electronic payment transactions is the successful exchange of funds among the transaction participants. 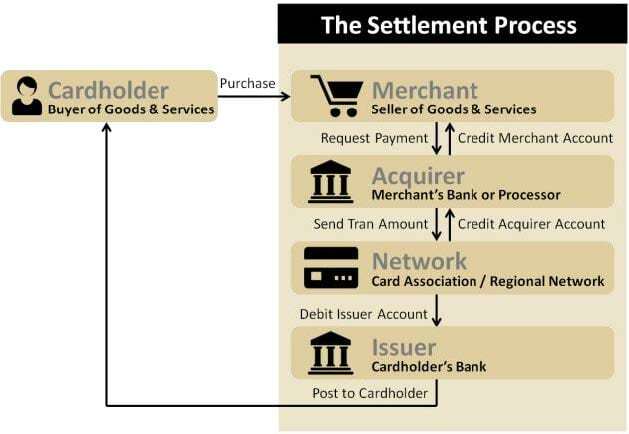 The settlement of electronic payment transactions must occur every day, for every transaction. During the settlement process, all credits and debits must be summed up for each transaction so accurate funds movement can occur. This includes fees and refunds that occur throughout the transaction life cycle, (e.g., interchange fees, association fees, processing fees, discount fees). When moving funds, it is critical that the settlement process is 100% accurate and completed within defined settlement windows. Concourse – Extended Settlement is a proven solution that ensures the settlement and funds movement of electronic payment transactions are successfully completed. Its rules-based engine and continuous processing architecture combine to form one of the world’s most flexible, reliable, and cost effective settlement processing solutions. Hardware: Any hardware that can host a supported Operating System with reasonable performance and responsiveness. Better performance is achieved with faster processors and more memory. Web Server: A Java EE-compliant application server. JBoss is recommended. Browser: The Concourse user interface is a secure browser-based application. It is compatible with Internet Explorer, Chrome, and Firefox. Operating System: Microsoft Windows Server or Red Hat Linux. Database: Oracle Enterprise Edition or Microsoft SQL Server Enterprise Edition. For more detailed information, please request a copy of the Concourse Financial Software Suite Architecture & Technology Guide. The Concourse Financial Software Suite™ is PCI PA-DSS compliant and is listed as a Validated Payment Application at https://www.pcisecuritystandards.org.